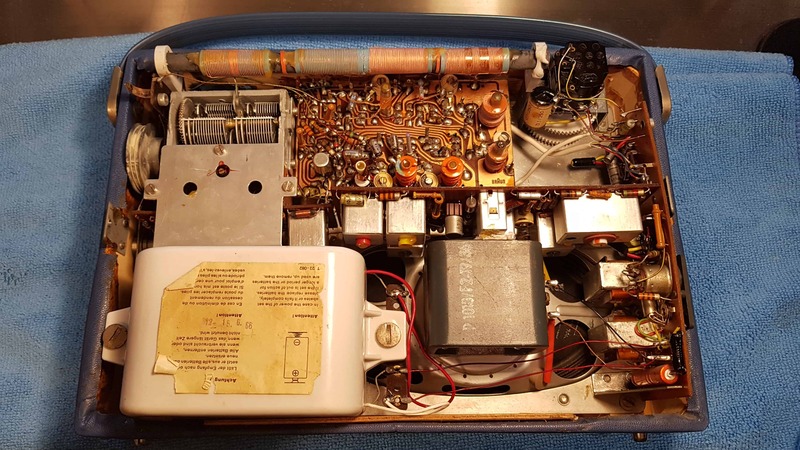 My blue 1961 transistor radio Braun T220 works pretty good but since I’m planning to put it on Ebay I decided it was time to do the electronics versions of an oil change: The re-cap. 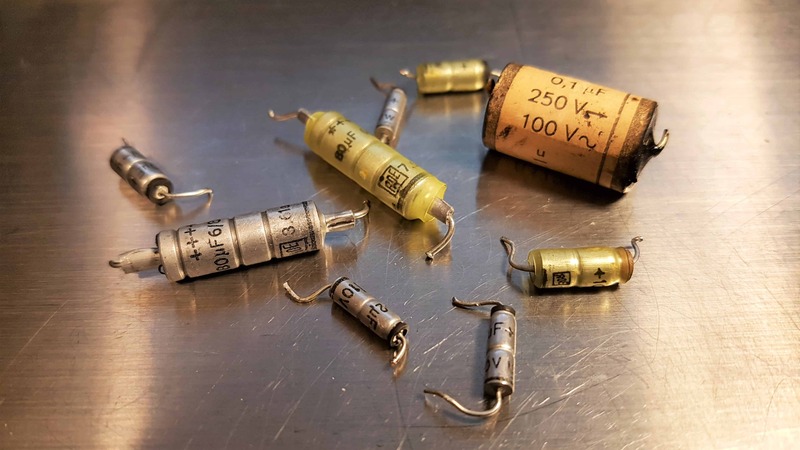 Changing all the capacitors. Opening it up I could find eight metal capacitors and one biggie made out of paper. 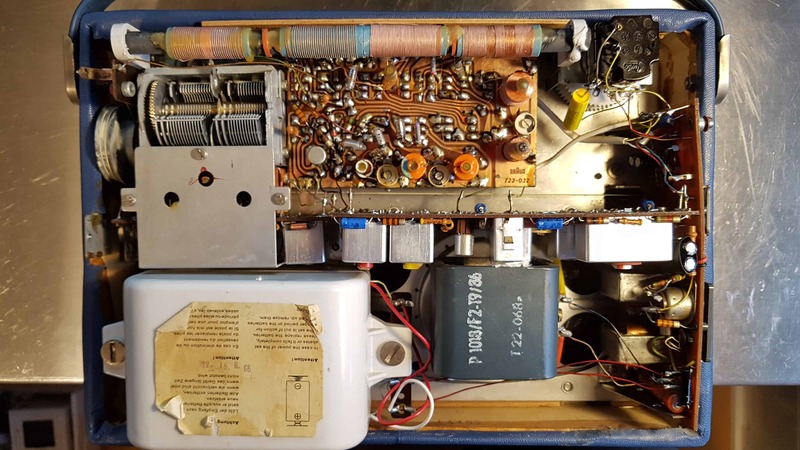 When old gear is failing, the first suspect is almost always the electrolytic capacitors. I have previously repaired a Samsung monitor and a Samsung TV where the only fault was a couple of bulging caps. Total cost to fix that was under a dollar. In this case where the radio is close to 60 years, there is no reason to keep any of the old caps. If they haven’t completely failed yet it’s just a matter of time and if you would measure their values they are probably all over the place. It wasn’t that much work. It took me around three hours to de-solder all of them and putting in brand new ones. I had to be extra careful not to break any of the many thin copper wires that were soldered left and right in a way you don’t see in newer tech. Powering on the T220 again I was very happy to find that everything was working and the FM signal now was much stronger than before. Also the sound volume was louder and clearer in a way that I had not anticipated. I guess the radio now sounds like it did when it was new in 1961. All in all the whole process was pretty fun and much easier than what I had imagined it would be. Everything turned out great, which is not always the case when you start poking around in ancient tech. CSS Winner liked this site so much that they gave me a star for it.